Architects have been invited to take an outsider’s view, and as such submit a sketch for an imaginative project in the city of London. They are free to choose a site and focus, whether addressing issues of planning, landscape, infrastructure or building. The central challenge remains what it has been for centuries: to make architecture a vessel for new and controversial ideas. Gathering together architects with sketches, and critics with words, will entice visitors into a theatre of architectural imagination where a wide range of daring projects, conceived by some of the most inventive and newly emerging architects, come together in a panorama of architecture’s current potential and promise. 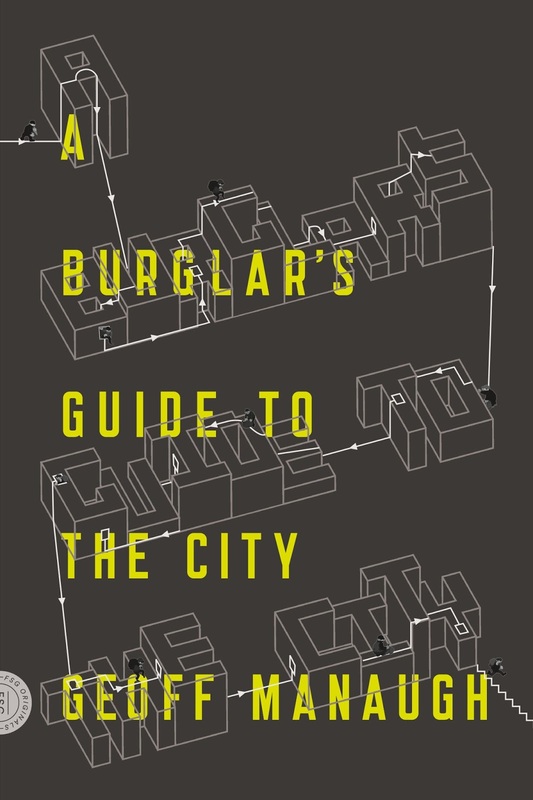 This will in turn create a platform for discussion and a critical examination of today’s approach to architecture. 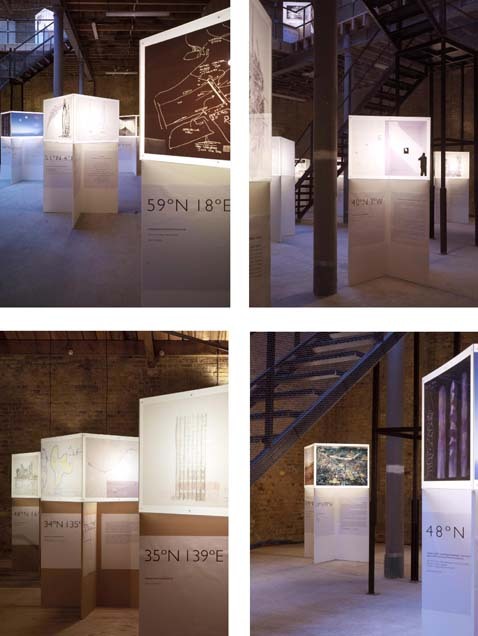 The result was The World in One City – A Sketch for London, an exhibit beautifully designed by Cainer's own Design Research Studio at Fletcher Priest Architects. 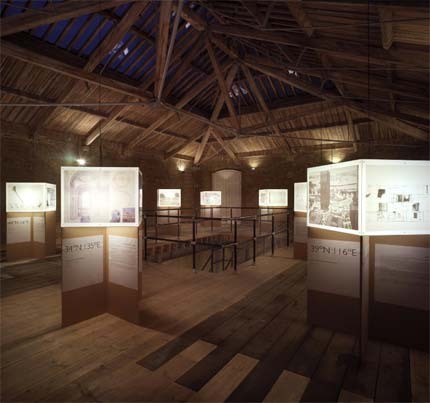 After emailing Cainer expressing interest in the exhibit itself and in the architectural projects it featured, he responded with a PDF from which these images were taken. 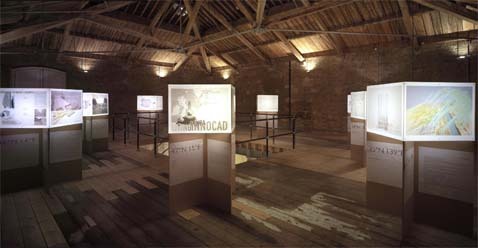 Here we see interior shots, offering a glimpse of the show's dominant theme: coordinate points of latitude and longitude, geographic sites of architectural speculation. "The show tries to move beyond the current scene, dominated by cyberspace and video simulation," Cainer explains, "and beyond the familiar client restraints and the fashion parade of magazines." 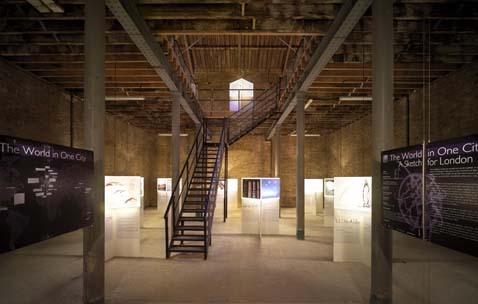 Instead, the exhibit's purpose is to focus on "the ‘sketch’ as the fulcrum of architectural imagination. Concepts and subsequent sketches are often underestimated: sketching is not only practical but also essential; it is the quickest, most accessible way for generating ideas." A website for the show is in the works, as well as a publication. Finally, let me just add that the idea for this exhibition is totally fantastic, and that every city in the world, frankly, should perform this kind of imaginative self-reflection at least once every few years. 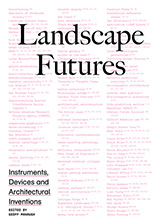 By openly speculating about conjectural urban futures – whether those include pedestrian malls, blimp-aquariums, or even insanely ambitious green roof projects – residents of cities everywhere can be reminded that their own urban environment is an ongoing project, and that everyday life itself can be upgraded, reprogrammed, better designed. 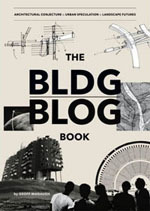 After all, the architectural future is just a few words and sketches away. (Note: All photographs in this post are by Chris Gascoigne – whose website is chock full of more architectural photography). City Visions competition, Philadelphia, 1986. I think I still have some of V-80 electrostatic prints that made up the only computer aided entry in the competition. Even Thomas Hine thought placing the Pennsylvania Convention Center over the sunken portion of the Vine Street Expressway was a good idea. Every good idea deserves to be reenacted? Though, in that case, the 1986 City Visions event would have been a reenactment of something that came before, i.e. 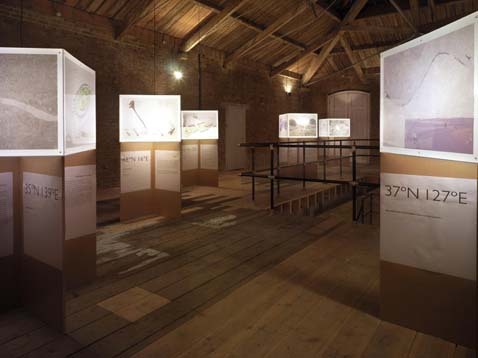 other self-reflective urban planning exhibitions. Either way, the future seems more important in this context - what's next, what's coming, who will host the event, what will be dreamed. Just keep in mind, the older you get, the more future you've actually seen. Yeah, and you're getting more old-fashioned as everyday goes by. What struck me of this show was the number of sketches which envisioned looking towards the river. Whether it was opening river banks, or installing wharfes and jetties, or relocating Central Park on the Thames, the river was prominent as a way forward for London. I can't quite remember the name / location of my favourite exhibit, but it showed a 'mashed up' map of London, with approx 10 stripes, each stripe having been designed / conceived by a member of staff in that agency. It was very striking. Adrian, you didn't attend this talk by any chance, did you? Peter Ackroyd on the "sacred Thames." Also part of the architecture Biennale. No, I didn't. Best not mention the biennale to me, really. I found it mildly tortuous, if I'm honest.